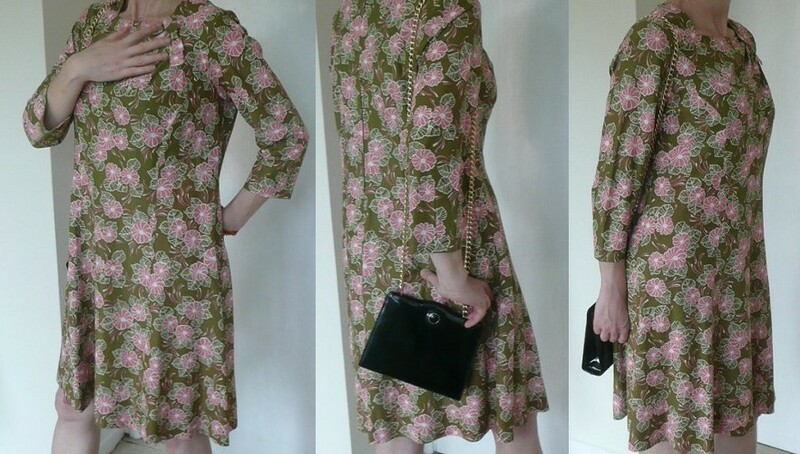 Striking vintage 1950s-style dress and jacket by Jeannie Jersey. 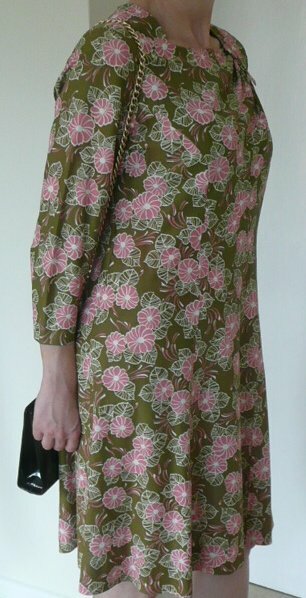 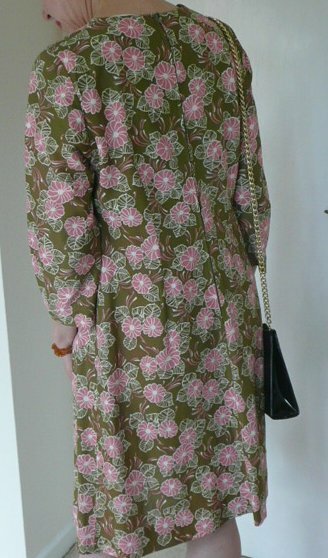 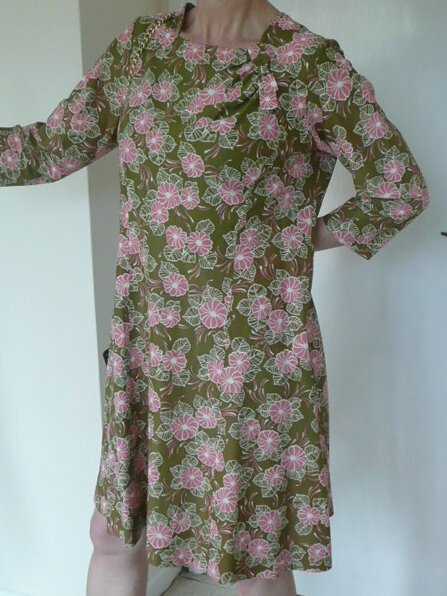 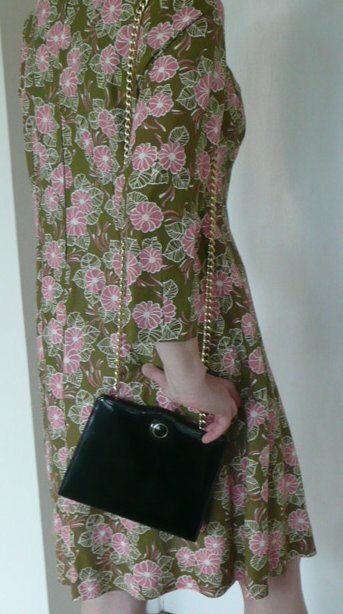 Beautifully easy to wear, this dress and jacket dating from the 1970s work well together or separately. 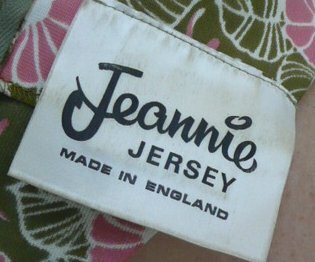 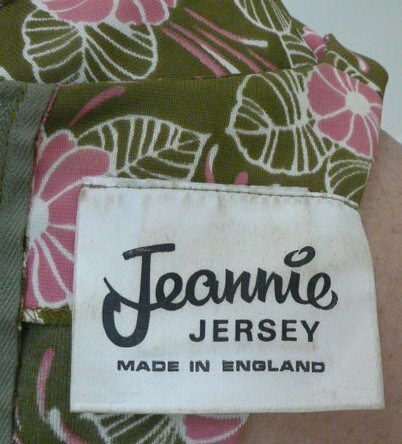 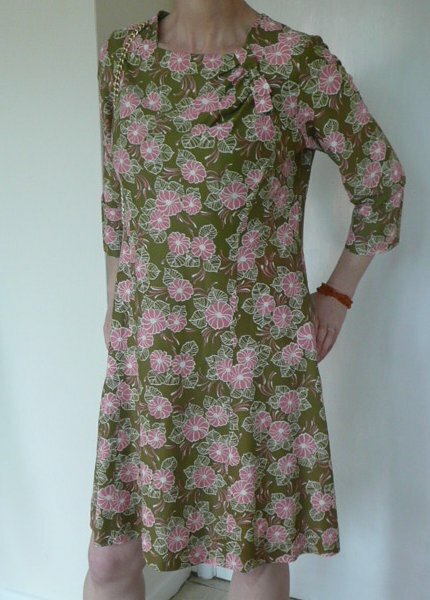 In the unusual - but successful - colour combination of dull green and sugar pink, with etched white leaves and flower detail, the dress has my favourite bracelet-length sleeves and is a simple A-line shift shape. 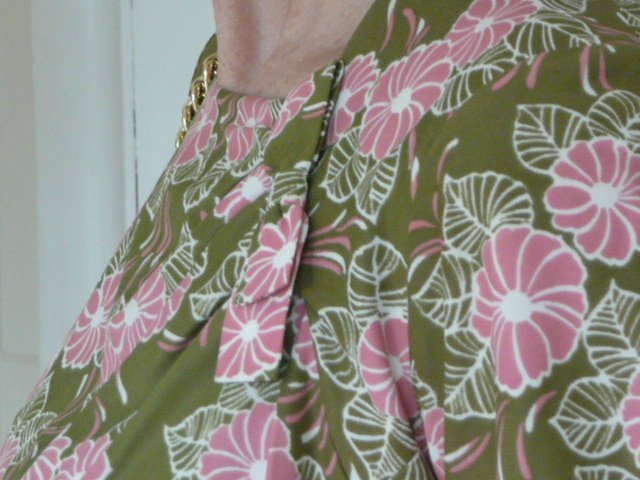 It has a round neck with gathered detail at the left side, held with a self bow. 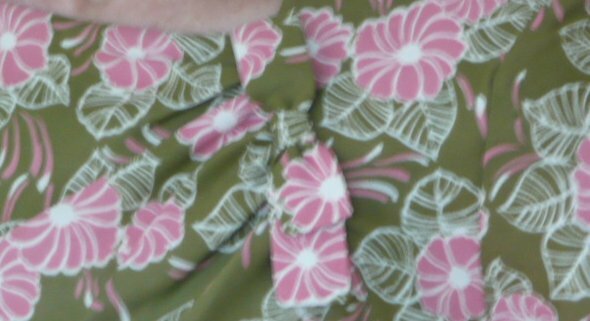 This is hard to photograph, but we've done our best! 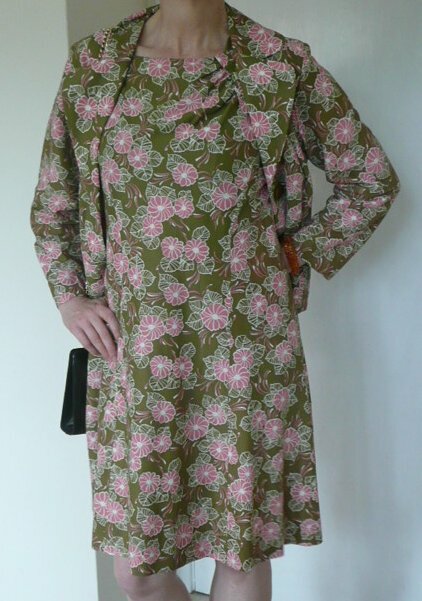 The dress and jacket together make a wonderfully prim and lady-like outfit! 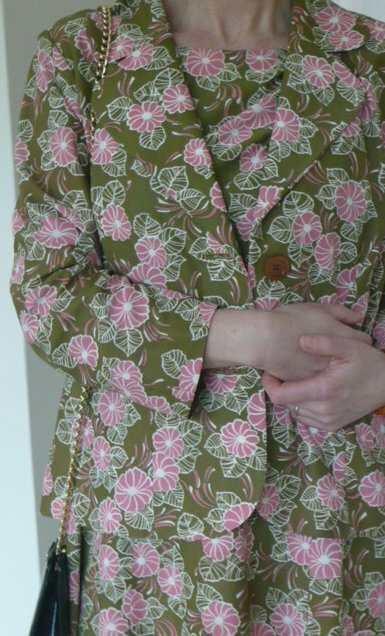 The shaped jacket has long sleeves, a lapelled collar, and fastens with two buttons...with its soft tailored style, it would look great with jeans or formal trousers. 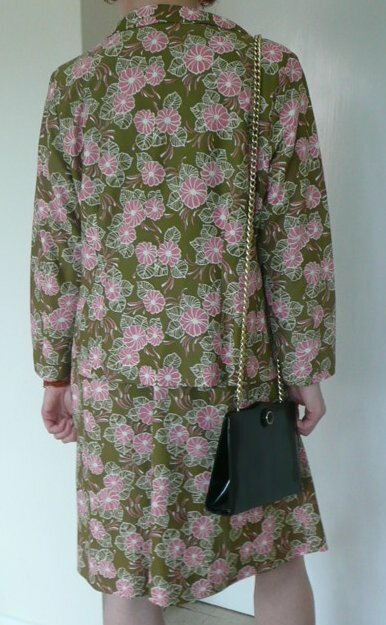 Both dress and jacket are, so far as I can see, in perfect condition with no signs of wear or damage from storage. 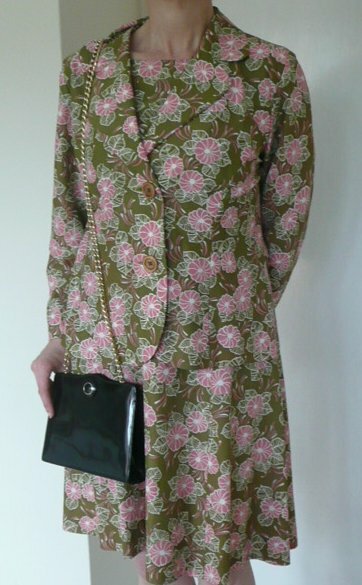 Approximate measurements are dress: bust 40 ins/101.5 cms, waist free, hips 42 ins/107 cms, length 37 ins/94 cms; jacket: bust 44 ins/112 cms, length 23 ins/58.5 cms; best fit, a modern UK size 14, possibly 16.